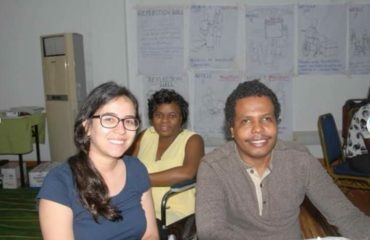 Improving their access to knowledge about their human rights, medical advances in addressing the most common health problems associated with the disability, and by sharing examples of the abilities and achievements of people with Spina Bifida and Hydrocephalus (SBH). Improving organisational capacity of IF members to function as representatives and defenders of children and adults of people with SBH in their community. Organising mutual exchange and learning activities on best practices in relation to the issues of interest to its members. Helping members develop research-based advocacy strategies and supporting them in the implementation of their advocacy goals. IF holds its International Conference once once a year with a support of one of its members. 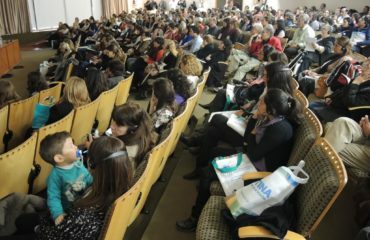 The conferences have gathered people with spina bifida and hydrocephalus and their families from all over the world to exchange knowledge and examples of good practices. 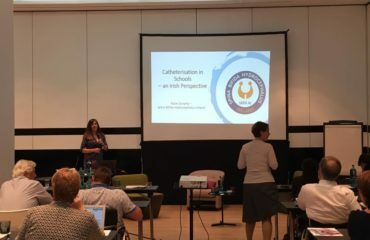 Please find the list of all the IF conferences here. Biennially, IF organises its African workshop, choosing a different country and topic each year. 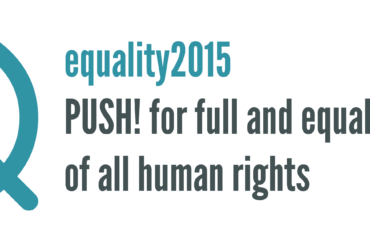 Please find the list of all the IF African Workshops here. Our Italian member organisation ASBI will coordinate a skiing project named “SKI for ALL”, part of the Erasmus+ Sport program and intended for children and young people with SBH or traumatic injuries. 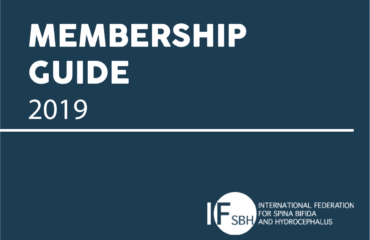 The new IF Membership guide for 2019 is finally online! 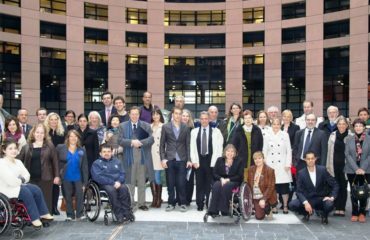 Have a look at our network structure and new management committee, and read more about how to become a member of IF! 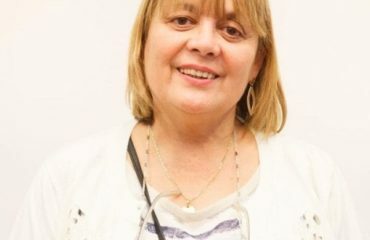 It's such a great news to learn that Elena Zappoli, who is IF Board member and President of APEBI, has been designated as Director of the National Observatory of Disability! 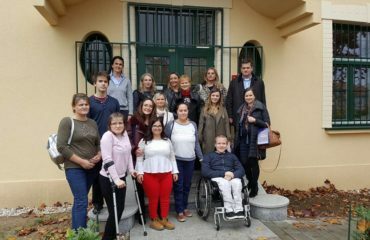 We were in Madrid this November for our European Workshop, this year focused on continence management and ageing with spina bifida and hydrocephalus. 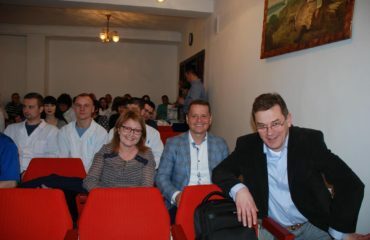 Board member Dr. František Horn and the Spina Bifida and Hydrocephalus Association of Slovakia attended a training in Ternopil, Ukraine called "Saving Kidneys". 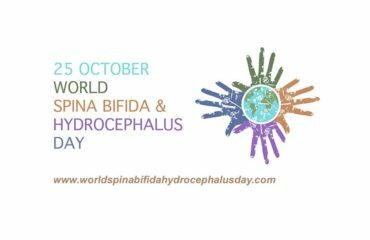 Today is the 7th World Spina Bifida and Hydrocephalus Day! Join the conversation on social media to help raise awareness! 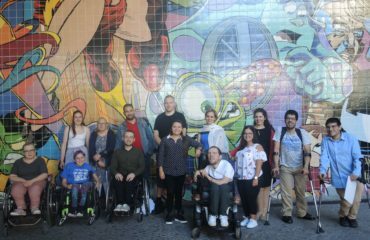 From 5 to 7 October we were in Lisbon for a training promoting the rights of young people with spina bifida and hydrocephalus. Take a look at the report and the video we realized about the training! 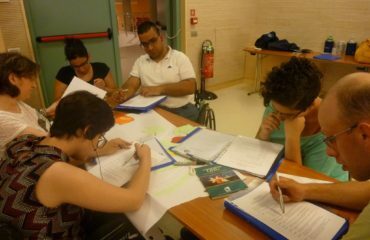 This Friday IF is going to Lisbon for a youth training called "My Rights: independent living, activism and participation for young people with spina bifida and/or hydrocephalus"! 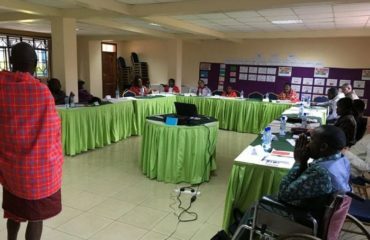 Rebecca Alitsi, from the United Disabled Persons of Kenya and former IF fellow, has been selected as one of the co-facilitators for a workshop on ensuring the rights of indigenous persons with disabilities. 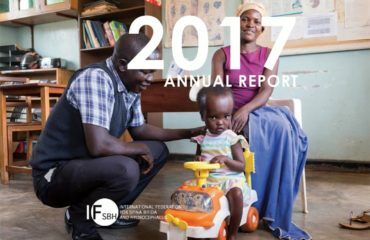 IF's Annual Report 2017 is out now! The IF General Assembly has approved our Annual Report 2017. The report highlights the progress of the organisation and the continuing development of activities, projects and workshops throughout the past 3 years. 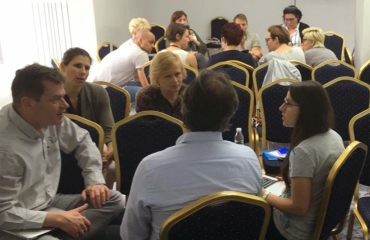 European IF members came together in Sofia, Bulgaria, to discuss their priorities, achievements and concerns and receive the latest update on IF's plans and activities. 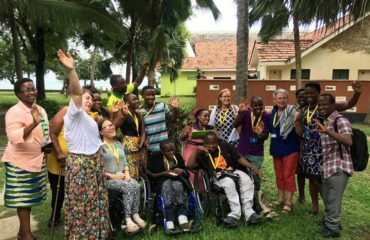 IF fellow Rebecca Opetsi joined the so called Bridge CRPD-SDG training in Kampala, Uganda, to become a lead trainer herself. Register now for the 28th International Conference on Spina Bifida and Hydrocephalus! 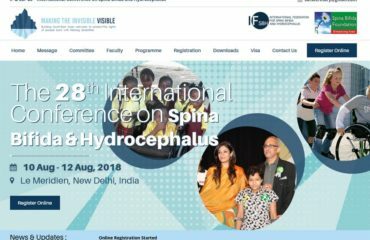 Join us in New Delhi, India, for the 28th International Conference on Spina Bifida and Hydrocephalus! 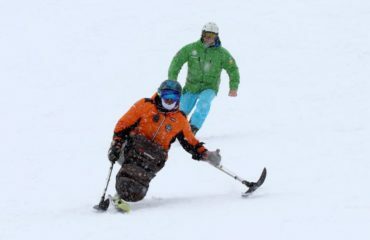 Raising awareness through a joint programme to promote the inclusion of young people with disabilities in mainstream sports. For the first time, IF will hold its annual international conference in South-East Asia, from Friday August 10 to Sunday August 12, 2018. IF ERN session: How can your association work with healthcare providers? 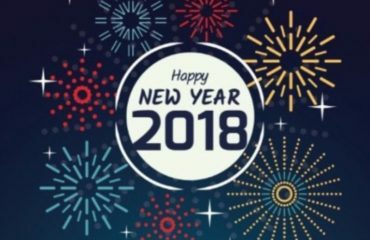 As the year 2017 comes to an end, we wanted to greet 2018 by sending our best wishes to all of you. 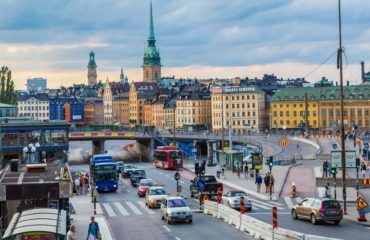 IF European Workshop from the 25th-26th of November in Stockholm. 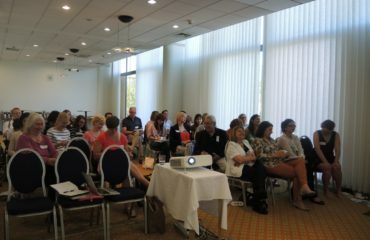 IF Croation member, Aurora, organised a workshop in Zagreb. What's our next Turning Point? The Global Prevention Initiative! 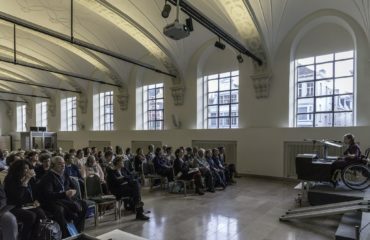 During the past three days Ghent hosted almost 300 participants of the Turning Points Conference. 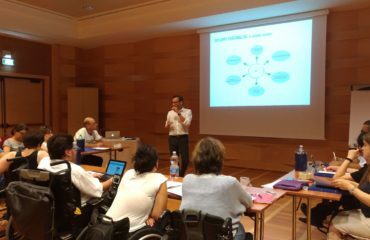 It was already the 27th International Conference on Spina Bifida and Hydrocephalus. The debates were very innovative, frank and sometimes emotional. One of the highlights of this weekend was the official launch by HRH Princess Astrid of Belgium of the first Global Prevention Initiative. 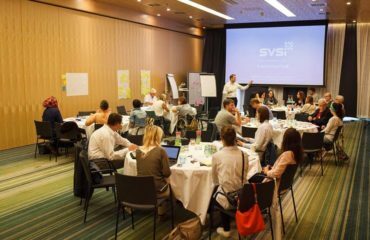 The first European workshop of 2016 took place on 18-19 June in Budapest, Hungary. IF members from 17 European countries came together to discuss their working priorities and to give the IF secretariat guidance for its 2017 activities. The two-day International Conference on Spina Bifida and Hydrocephalus, Equality, organised by the International Federation for Spina Bifida and Hydrocephalus (IF) together with the Associazione Spina Bifida Italia (ASBI), will be held from 16 to 18 October 2015 in Solbiate Olona, Italy. 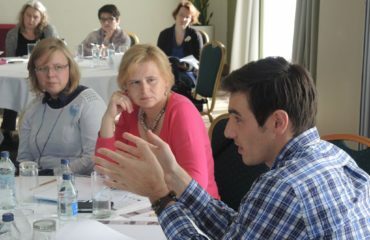 This year's first IF European workshop took place on 3-4 July in Vilnius, Lithuania. 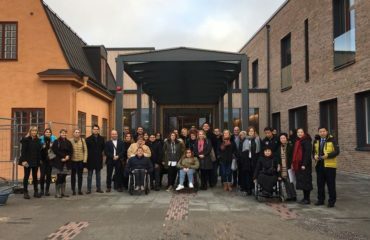 IF members from 15 European countries came together to discuss their working priorities and to give the IF secretariat guidance for its 2016 activities. 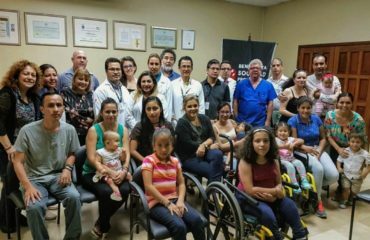 From the new LATAM network for spina bifida and hydrocephalus: Genetic factors and social inclusion are fundamental worldwide! During last two days Buenos Aires was filled with discussions on key topics for the Spina Bifida and Hydrocephalus (SBH) global community. Genetic factors of SBH, social inclusion, and the right to health were at the top of the agenda. 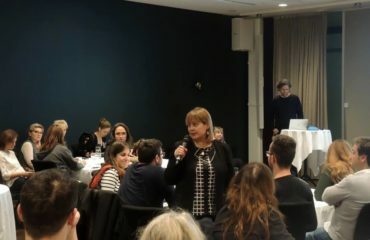 IF’s 23rd International conference “Finding Our Way” that took place in Stockholm on 15 and 16 June was a great success and well-attended; Over 320 participants from 25 different countries covering most of Europe, as well as the USA, Canada, Russia, Argentina and Kenya gathered for two days to share the latest information related to Spina Bifida and Hydrocephalus.